Suspended chief magistrate Mishrod Guvamombe heaved a sigh of relief yesterday after the travel restriction initially imposed on him as part of his bail conditions was lifted by the court. He also successfully applied to have his reporting conditions reduced from four times a week to once a week. When he initially appeared in court, Guvamombe, who is facing criminal abuse of office charges, was ordered to report four times a week to the police and not to travel 50 kilometres outside Harare. In his application for variation of bail conditions yesterday, Guvamombe, through his lawyer Mr Jonathan Samukange, told the court that because of the travel restriction, he failed to attend the funerals of his two relatives in his rural home in Guruve. He also demonstrated to the court that he was not a flight risk, indicating that when he was given his passport back recently, he did not flee. Representing the State, Mr Zivanai Macharaga consented to Guvamombe’s application, saying the defence managed to convince the prosecution by submitting tangible reasons. “It has been brought to my attention that the accused person’s farm is in Bindura and also that his rural home is outside the 50km radius,” he said. “He has lost two family members already in his rural home and has not been able to attend (the funerals). In her ruling, regional magistrate Ms Lucy Mungwari said submissions by Guvamombe and other compelling reasons given by the State were based on solid facts. She then granted the order sought and ordered Guvamombe to report once a week to the police on Mondays. Guvamombe was then remanded to April 9 for trial. On Monday, Guvamombe notified the court that on the next court date he was going to make an application for referral of the case to the High Court for trial. He said as the Chief magistrate of Zimbabwe, it was unthinkable that he should be tried by any of his juniors. Charges against Guvamombe arose on November 27 last year when he received correspondence from the University of Zimbabwe (UZ) seeking internship places for law students. On the list were Saviour Kasukuwere and Supa Mandiwanzira. 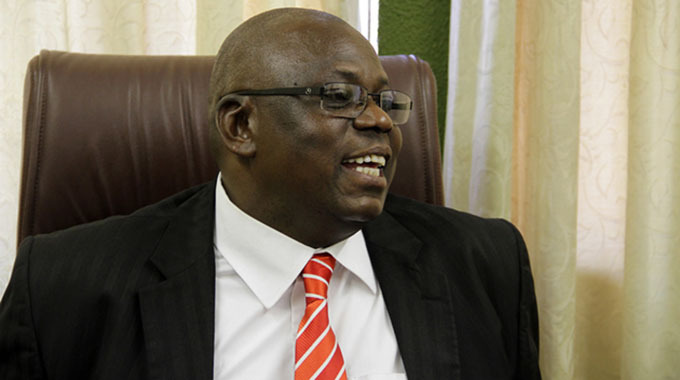 Guvamombe allegedly authorised the attachment of the two at the Harare magistrates court where they are appearing on various charges of abuse of office. The attachment meant that they would interact with their own dockets during their work.